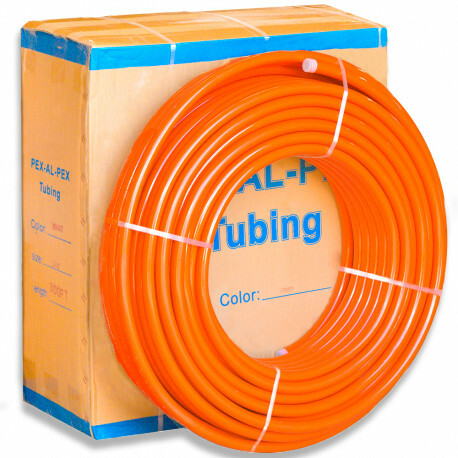 300ft roll of 1" PEX-AL-PEX Tubing for use in radiant heating applications. Meets/exceeds ASTM F1281, CSA B137.10 standards. 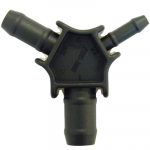 Also certified for use in domestic water applications. UPC listed by IAPMO. Pressure rated at: 80psi @ 200F, 160psi @ 140F, 200psi @ 73F. Is manufactured to ASTM F1281 & CSA B137.10 standards. PEX-AL-PEX tubing can be installed using compression style PEX Fittings of Press type system (fittings, sleeves and tools). Also Zurn (Alumicor) and Viega (FostaPEX) in the same size and different coil lengths.